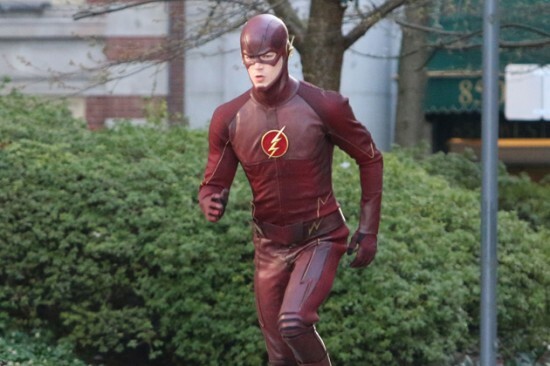 As I was watching the premiere of The CW’s highly anticipated comic series The Flash, it just seemed a little off to me. It started off lighthearted, focused too much on Barry’s obsession with Iris and his relationship with her father, Detective West. It tried to throw in little bits of comedy that just didn’t fit, and weren’t that funny anyway. But to be fair to me, and the show, I’m coming off of two great seasons of the very dark Arrow series. And while Oliver Queen does make a cameo in this episode, it just didn’t quite grab me. I’m willing to give it some more time, because this is just the origins episode, and because of the track record of CW shows like Arrow. I didn’t really care for any of the characters to be honest, or the acting of those portraying them. For the first time watching a CW show, I felt like I was watching something on a secondary network. It just seemed . . . well, lame.